The selectors did not name any replacement for Pandya and the BCCI media release did not clarify whether he has sustained injury or it is workload-related issue. Pandya was in pain trying to stop a powerful hit off his own bowling during the final T20 International against New Zealand in Thiruvananthapuram. He nonetheless completed his over. 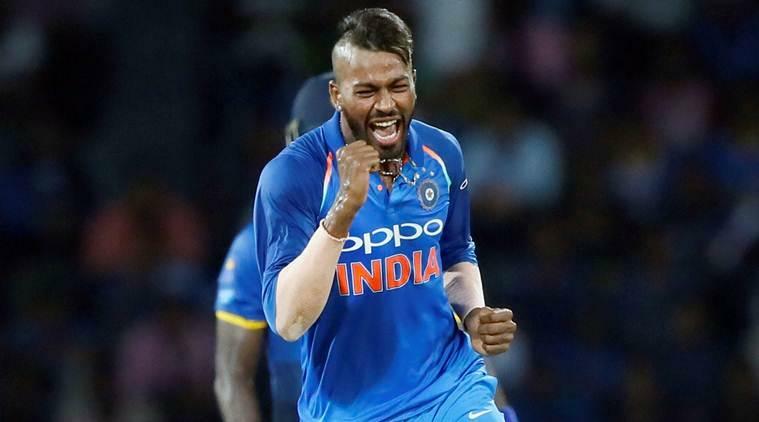 "The All-India Senior Selection Committee in consultation with the Indian team management has decided to rest all- rounder Hardik Pandya for the upcoming Paytm Test series against Sri Lanka. Mr Pandya was named in the squad for the first two Tests. "Considering Pandya's heavy recent workload, the decision was made to negate any possibility of a major injury concern. Pandya will undergo a period of strength and conditioning at the National Cricket Academy in Bengaluru," the BCCI release stated. Since the start of Champions Trophy in June, Pandya has played three Tests, 22 ODIs and five T20 Internationals -- second only to skipper Virat Kohli in terms of first XI appearances. The question that has not been answered is why the selectors did not rest Pandya prior to the Test squad selection knowing fully well what his workload is. When PTI contacted chairman of selectors MSK Prasad, he refused to comment citing protocol. Pandya had a memorable Test debut in Sri Lanka where he scored 178 runs, including a century and a half-century on debut. Squad: Virat Kohli (Captain), KL Rahul, M Vijay, Shikhar Dhawan, Cheteshwar Pujara, Ajinkya Rahane (Vice-Captain), Rohit Sharma, Wriddhiman Saha (WK), R Ashwin, Ravindra Jadeja, Kuldeep Yadav, Mohammed Shami, Umesh Yadav, Bhuvaneshwar Kumar, Ishant Sharma.